Faculty at all levels of an academic organization face discrete leadership challenges. The very structure of our institution, the obligations and the privileges of shared governance, as well as the expectations of our faculty to be nationally recognized teachers and scholars, mean that faculty play many roles. Leadership in Academic Matters (LAM) is a faculty development opportunity focused on supporting, inspiring, and rewarding those who, in these myriad roles, have demonstrated leadership characteristics and future potential. LAM provides participants with concrete resources, access to expertise and experiential learning opportunities focused on a variety of topics including managing change, building and managing teams, difficult conversations, developing successful networks, and finding life balance in a dynamic and growing career. Weekly half-day sessions are conducted over the course of several months, facilitated by leading experts in academic leadership. This program began in 2004, when Dr. Sharon Hostler first came on board to manage faculty development efforts in the School of Medicine. 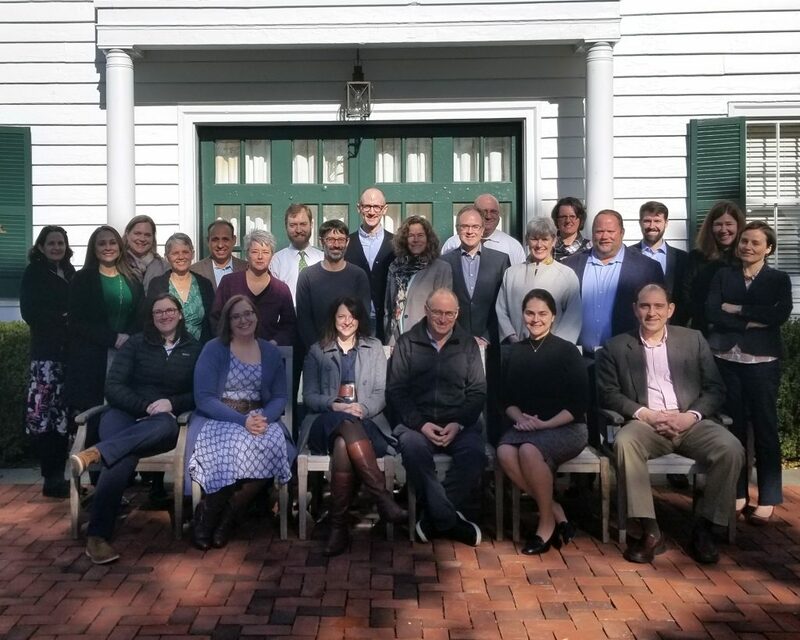 In 2009, when Dr. Hostler became the Vice Provost for Faculty Development for the entire University, the program was extended to faculty from all the schools at UVa. Typically, we have a cohort of about 30 people, half from the Health System and half from across Grounds. Bringing faculty into the program from other schools has resulted in a much richer experience for both groups. Generally, the LAM program is held twice a year, once in the fall and once in the spring. To date, nearly 700 faculty and administrators have graduated from the LAM program. Participation is limited to 30 faculty members per session. Individuals wishing to participate must be nominated. Bequeathed to the University of Virginia in 2001, Morven is a 2,913 acre estate just south of Charlottesville. Since 2009, Morven Farm has hosted all of the LAM programs, in the Main House and the Meeting Barn. More information about Morven is available here.